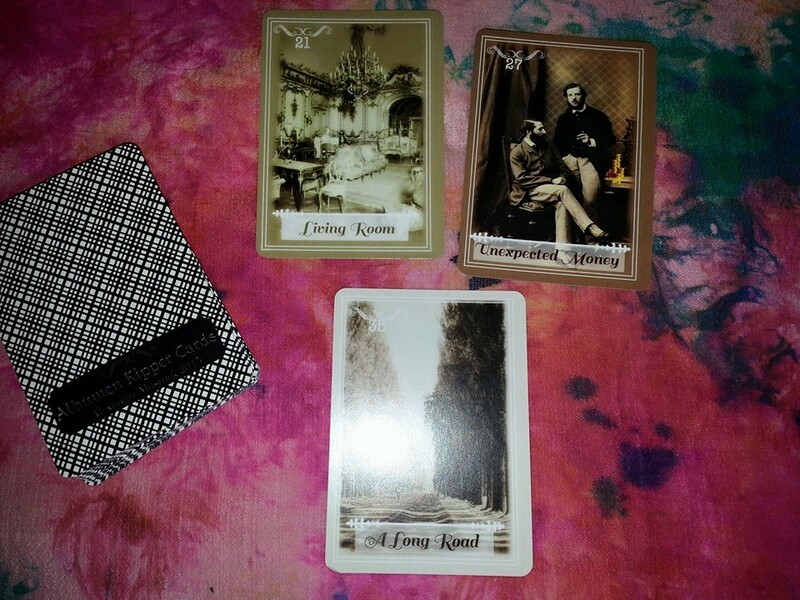 I created this deck using Albumen print, they were invented in 1850 by Louis Désiré Blanquart-Evrard, and was the first commercially exploitable method of producing a photographic print on a paper base from a negative. It used the albumen found in egg whites to bind the photographic chemicals to the paper and became the dominant form of photographic positives from 1855 to the turn of the 20th century, with a peak in the 1860-90 period. 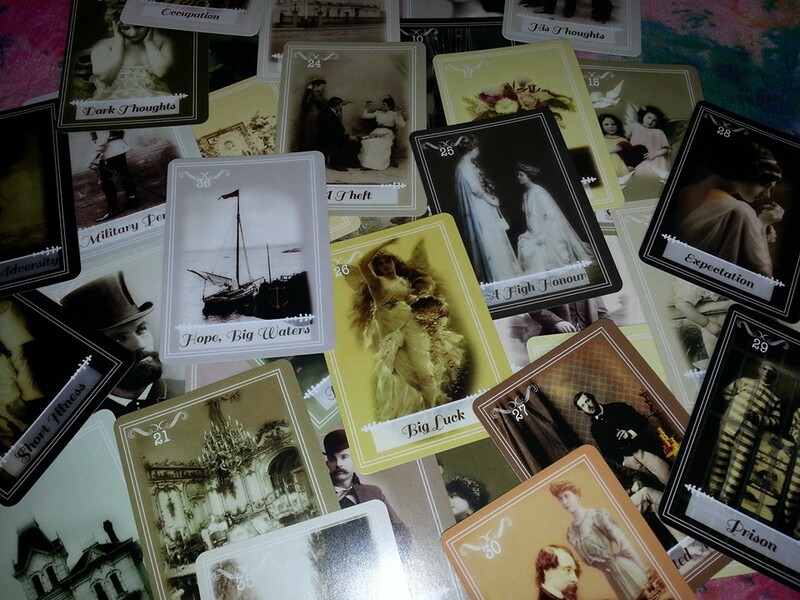 This unique one of a kind vintagy, Edwarian, victorian deck of cards and simple to read. 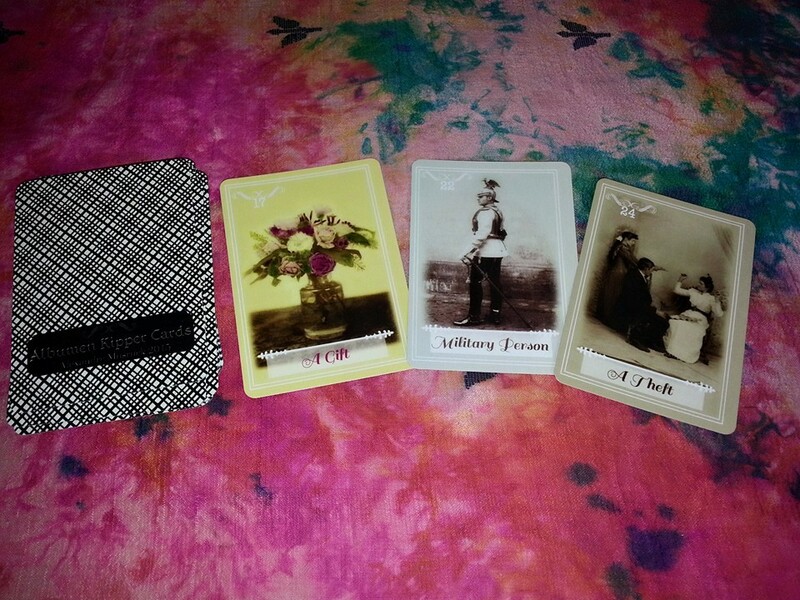 The Albumen kipper has a big sister, the Albumen Tarot, see it in the Tarot section as well as a small sister the Albumen Lenormand available in the lenormand section.